26 May 2017 Washington, D.C.
White House National Economic Council director Gary Cohn, a former Goldman Sachs banking executive, has reopened the U.S. government’s war on coal in direct contravention of directions from President Donald Trump. “Coal doesn’t even make that much sense anymore as a feedstock,” Cohn said in Europe on Air Force One, while speaking for the White House to the press, the New York Times’ Brad Plumer noted. “Natural gas, which we have become an abundant producer, which we’re going to become a major exporter is, is such a cleaner fuel,” Cohn continued. Cohn’s comments against the coal industry come as he has attempted to steer President Trump in a direction against his campaign promise to remove the United States from the Paris Climate Accords, a deal that Sen. Rand Paul (R-KY) has told Breitbart News would cost at least six million American jobs. Paul and 21 of his GOP U.S. Senate colleagues have written to President Trump urging him to follow through on his pledge to remove the U.S. from the job-killing deal and stand up for the coal industry in the United States. 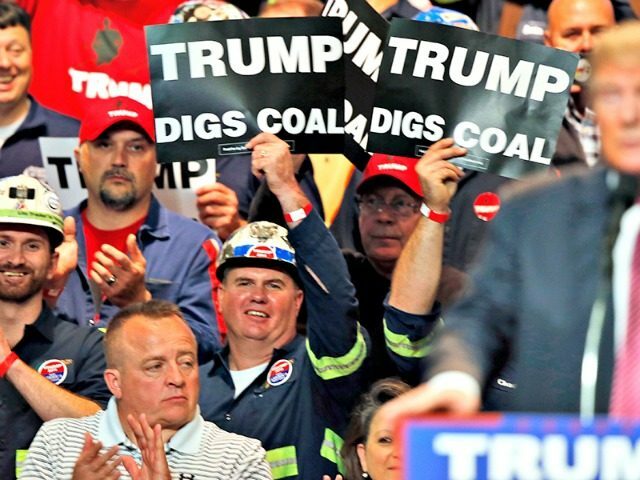 Trump repeatedly campaigned on defending coal workers—people previous presidents and his Democratic opponent former Secretary of State Hillary Rodham Clinton worked to undermine. Former President Barack Obama’s administration—was brutal to the coal industry—something Clinton campaigned on continuing. But it seems the war on coal is being relaunched by his economic adviser Cohn, who now calls coal obsolete and unclean. Cohn’s comments are sure to cause serious backlash among Republicans and Democrats on Capitol Hill, since there is bipartisan support nationwide for protecting coal workers.